It’s that time of year again when school starts up, and I only know this from all of my friends posting on FB and IG about it. The countdown is on! And while I don’t have any kiddos yet, I can’t help but think back to my days of school. And naturally, it had me thinking about Healthy Back to School Snacks, being the foodie that I am. As a kid, I was raised by two extremely hard-working parents. My dad farms and had a very full schedule every day as he kept the family farm going, and my mom was an amazing teacher. They both did their best to show us how to bring passion to their jobs, and that often meant they worked a LOT of hours. So with Dad being in and out of the house a lot, and Mom taking on after-school jobs to bring in more money, my sister and I learned to fend for ourselves. And that usually meant we weren’t eating very healthy back to school snacks. I know I always came home after a long day of classes tired and hungry (verging on hangry). And I’d eat whatever was around. And I wondered what I’d do differently now if I were a parent, knowing what we know about the sugary drinks and snacks that we used to devour? Well, I’m thinking I’d have plenty of healthy back to school snacks on hand, so at least if the kids are eating a lot of food, it’s pretty good for them. So in an effort to help all the busy parents, here are some healthy options when your kids say “I’m huuuuuungry!”, I’ve got this handy list of 35 healthy back to school snacks! As a kid, I loved variety and flavors and CHOCOLATE! Haha. I’m breaking this post down into several categories, so click on the category name below to jump right to that spot in the post! Also, I’ll try to denote if something is gluten-free (GF) or dairy-free (DF) next to the link to the recipe! Drink Up: Healthy, all-natural drinks to keep kids going. Fruity: Fruits abound in this category! Fruit Leather: I adored fruit rollups as a kid, so why not make a healthy version of your own?! 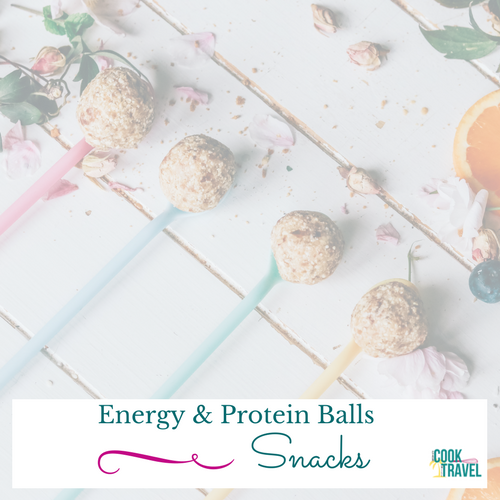 Energy/Protein Balls: These balls are perfect for snacking on, and it’s pretty easy to forget they’re healthy too. Savory/Not-So-Sweet Options: I’m all for letting kids experiment with ingredients and see what they like. You may find that they surprise you and are a bit more adventurous! For the Chocaholics: Hello, my people! 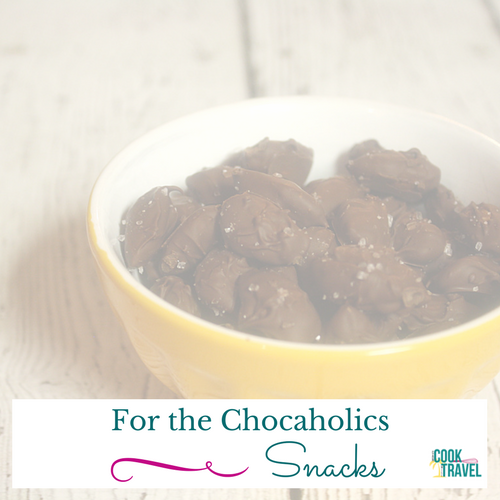 This category is for those of us who think everything is better dipped in chocolate! Popsicles: At the beginning and end of the school year, it can be quite warm out. So let the kids cool down with some healthy popsicles! Now let’s dive right into these Healthy Back to School Snacks, Shall We?! Pineapple Cream Smoothie (DF & GF): Orange and pineapple plus your favorite milk (nut or dairy – whatever you like) – refreshing and delicious! Pineapple Lemonade – (DF & GF) This blended pineapple & lemon drink sounds bright and fretting! Sugar-Free Fruit Soda – (DF & GF) I love this idea of jazzing up carbonated water without adding sugar. Cinnamon Apple Bites – (DF & GF) Make your own dried apples, because you can control all of the ingredients. Yum! Frozen Yogurt Bark – (GF) Not only does this recipe look crazy easy, but you store it in the freezer so it’s always ready for you. Almond Butter & Banana Snack – (DF) Ooh this is one of my favorite snacks! 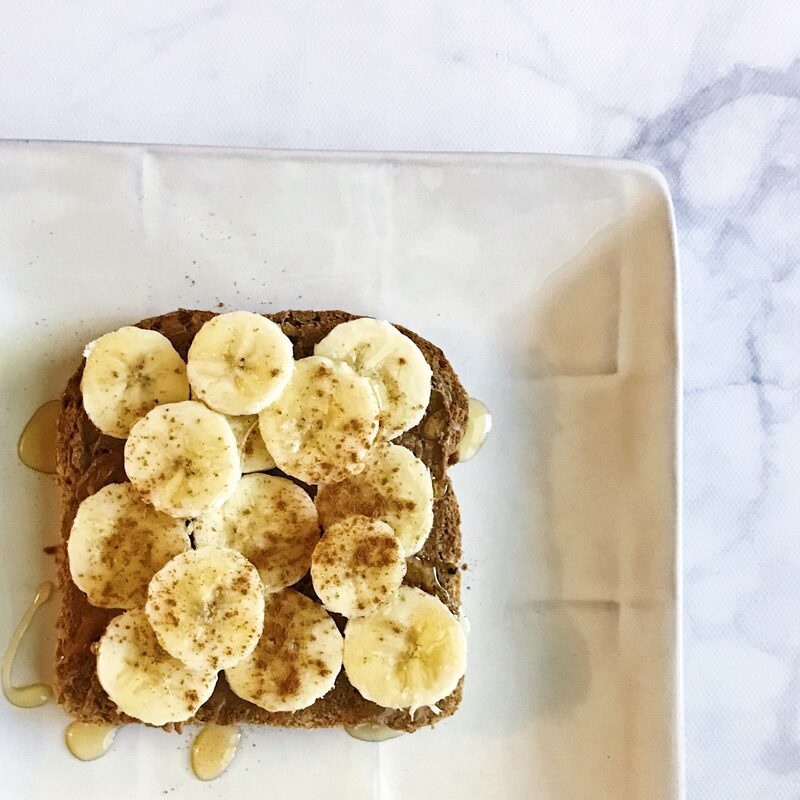 Simply spread some almond butter on a piece of Ezekiel Bread and then add sliced bananas, drizzle some honey, and sprinkle cinnamon over the top. I’m a happy camper with this snack! 100 Cal Strawberry Oatmeal Bars – (GF & DF substitutions) This recipe from Well Plated (love that blog, btw!) is only 100 calories for a serving, and it looks so yummy with fresh strawberries! 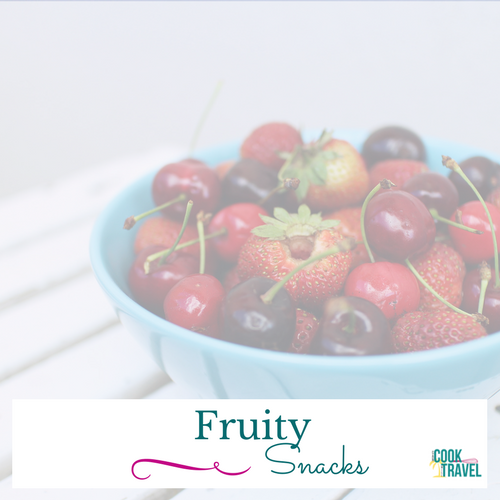 FroYo Bites – (GF) I love that this is just yogurt and fresh fruit blended together and frozen. Yum! Frozen Grapes – (DF & GF) This snack couldn’t be more simple, so I love keeping them on hand! Just wash and remove grapes from the stems and freeze, then you’re all set! Peach Raspberry Fruit Leather – (DF & GF) I love this combo of fruits, so by default it sounds fab! 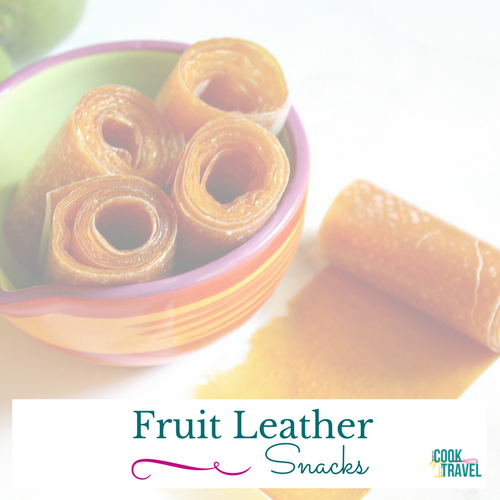 Spicy Tropical Fruit Leather – (DF & GF) Don’t let the spicy throw you off, because it’s really not hot but adds some warmth. Feel free to leave it out if you want. So if you’re making this for teenagers, I think you’ll be fine. Unicorn Energy Bites – (DF & GF) Kids love color and unicorns, right? So this snack feels like a healthy win win! Strawberry Energy Bites – (DF & GF if you use gluten-free oats) Combine frozen strawberries, oats, coconut flavors and more, and then you’re all set. I’d happily enjoy this one if I were a kid! 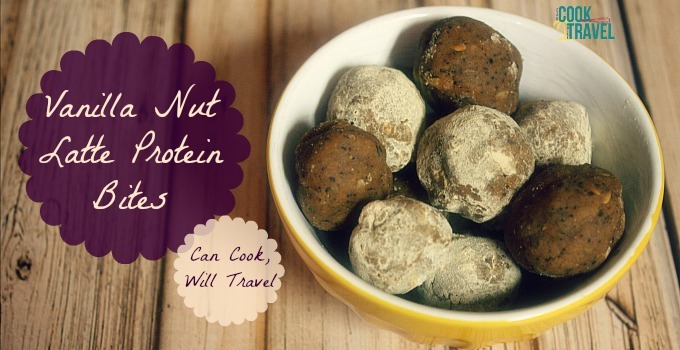 Vanilla Nut Latte Protein Bites – (DF & GF) Kids like coffee, right? Haha – actually there’s not a ton of coffee and more of a nutty, sweet taste so I think the older kiddos would enjoy these! Banana Split Energy Balls – (DF & GF) Strawberry, banana, and chocolate flavors all combine to create this swirled, cool-looking ball. These look so fun! Coconut & Lime Energy Bites – (DF & GF) Let’s face it, the combo of coconut and lime is what sold me. I love the idea of introducing these cool flavors to kids, so they don’t always need sugar-y junk. S’Mores Energy Bites – (DF) I mean, kids love S’Mores so this seems like a no brainer to me for making my healthy back to school snacks list! 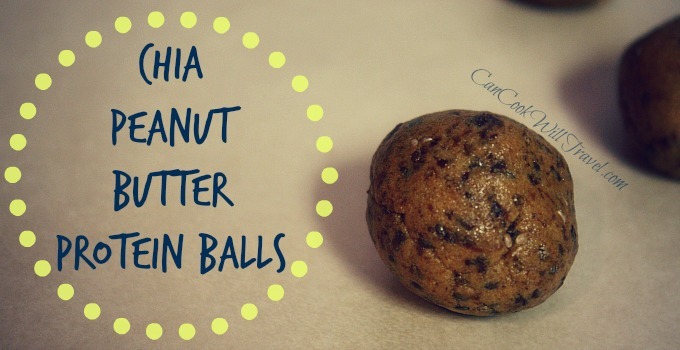 Chia Peanut Butter Protein Balls – (DF & GF) These are my favorite protein balls I’ve made because they’re smooth and chewy and just delish! Roasted Garlic, Herb, Parm Chickpeas – (GF & DF) Chickpeas are healthy and super versatile and I think if veggies taste great, then kids will love eating them! Parmesan Garlic Edamame – (GF) I love this idea of having kids snack on healthy veggies with a little cheese. What a great habit to start at a young age. Basil Garlic Popcorn – (DF & GF) I have loved popcorn forever, and it’s a snack that is always a great option IF you do it right. Avoid the microwave bag crap, because it’s filled with stuff you can’t control. 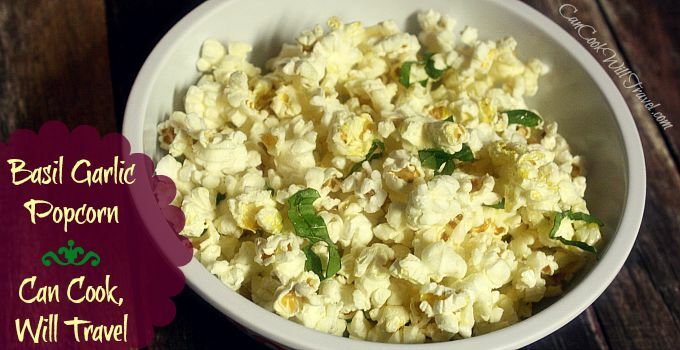 Instead, air pop your popcorn and add your favorite flavors like this basil & garlic recipe. Yum! Maple Pumpkin Trail Mix – (DF & GF) This trail mix is literally spices, maple syrup, nuts and then dried fruit (and chocolate chips if you want them). I love that! Hummus & Veggies – (DF & GF) Whether you grab your favorite hummus at the store, or make your own…this is such a great healthy back to school snack with veggies or crackers. Banana Split Bites – (GF) Fresh strawberries, bananas, and pineapple dipped in chocolate, because yum! Chocolate PB Chia Bars – (DF & GF) Peanut butter and chocolate is one of my favorite combos, so sign me up for these snacks! 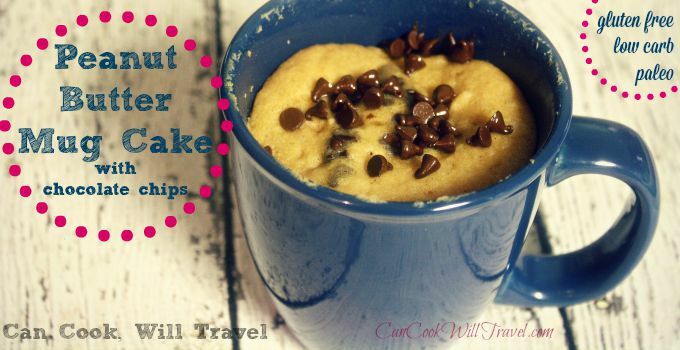 Peanut Butter & Chocolate Mug Cake – (GF & use DF chocolate for a DF version) Portion control is huge, so happily this mug cake is a 1 serving recipe. Love that! Chocolate Covered Banana Pops – (DF & GF) These guys are so fun and customizable, which is awesome! Anytime you get kids involved and let them create their food they’re more likely to enjoy it – even if it’s healthy! Monster Cookie Bites – (GF & DF if you skip the M&Ms and add fruit instead) These are almost like a no-bake monster cookie. And what kid wouldn’t love that?? Chunky Monkey Trail Mix – (GF & includes DF options) You’ve got nuts, chocolate, and dried bananas and this trail mix is made in the CROCK POT! Fun, right?! Mocha Meringue Bark – (GF) Okay this one does have some sugar in it, but not a ton. 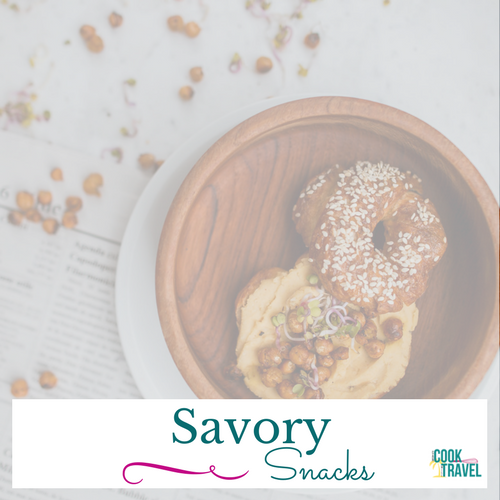 And the great part is that you can portion it into smaller portions, so I love that it’s a totally different snack that’s light and airy! 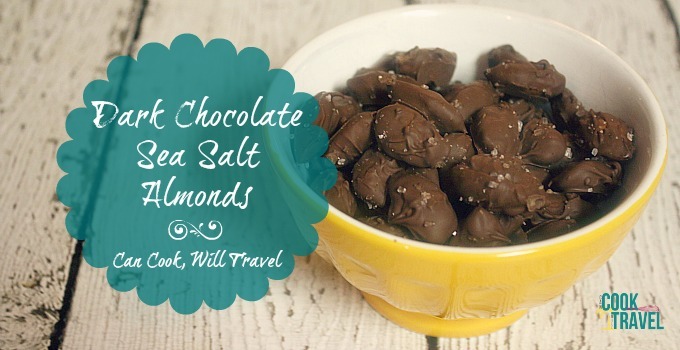 Dark Chocolate Sea Salt Almonds – (GF & DF if using DF chocolate) I’m obsessed these almonds. They’re a mix of salty and not-too-sweet and I keep them in the fridge to keep them from melting. Yum! 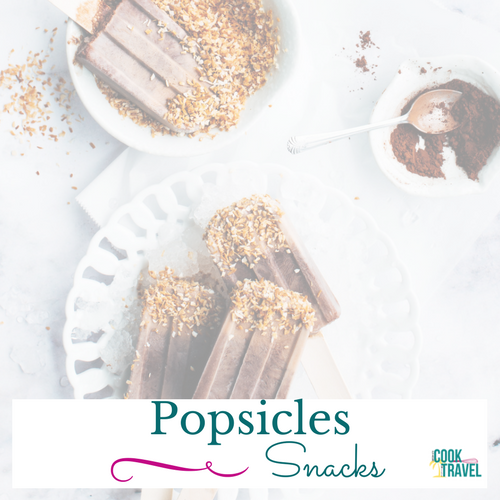 Smoothie Popsicles – (GF & DF if you use almond or coconut milk) I love smoothies (shocking right – if you follow me on IG)! 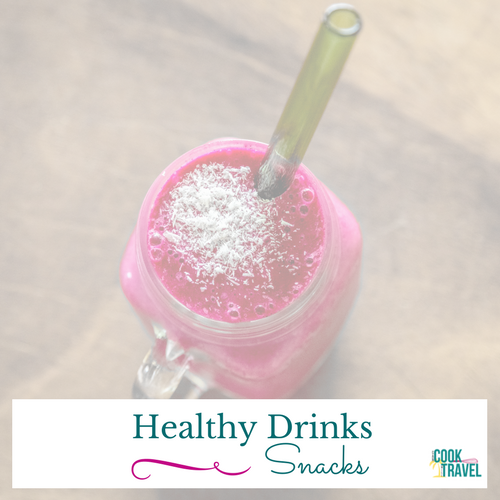 And it’s a great way to make smoothies fun for kids and create a really healthy back to school snack to enjoy when you get home from school. Blueberry Vanilla Yogurt Popsicles – (GF) Combine blueberries and Greek yogurt and then milk and honey for a creamy treat. Or if you want the marbled version, then you’ll separate the yogurt and blueberry mixtures and layer them. Gorgeous! Rainbow Unicorn Popsicles – (GF) This is another Greek yogurt & milk based popsicle with a mix of pineapple, blueberries, strawberries and raspberries throughout for a fun, pretty, unicorn-inspired treat! Whew, you guys that is a HUGE list, so I hope even 1 of these recipes inspires you to get in the kitchen! As a kid who experimented with food when I would get home from school, I encourage you to bring your kids in the kitchen. I mentioned above that when kids help with their food, they get excited about eating it. Even if it is a healthy back to school snack like these above! I’d love to know if you’re excited about any of these recipes above, so let me know what you’ll be making first! Also, what were your favorite healthy back to school snacks as a kid or for your own kids? Comment below and let’s talk SNACKS! 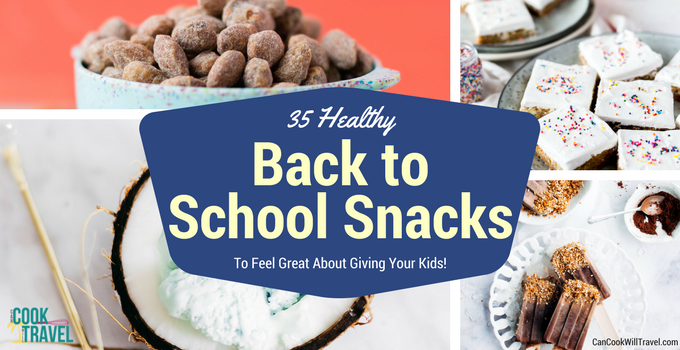 Stay inspired & create healthy back to school snacks and memories with your kiddos!